When we were kids, there was always time for naps, cloud-watching, or simply to lie around and just ‘be’. But as business owners it can feel as though there simply isn’t the time to kickback, explore, play, and dare we say, go on an adventure. There is always more work to do on the business! Too much technology is not good for us – and hikes are great escape from that, and not just because it’s hard to get 4G in the hills. A quality walk is the perfect way to rejuvenate the body and soul. Hiking gets your blood flowing, lungs moving and heart-pumping, leading to happier moods, better sleep and even improved creativity and productivity. The smell of a forest, the sound of a river and the sight of hills can really help you put things into perspective. And if you really have to, you can Instagram the whole thing. Staying at home can often end up in you doing chores, surfing the web, or watching TV. Camping is an excellent remedy. Recruit your friends or family for a night of two – or head off in solitude for the ultimate thinking space. Without the distractions of home and technology, time goes out the window, making it so much easier to reconnect with your loved ones, nature, and yourself. Take a Frisbee, a book, or whatever fun activity you’ve been neglecting for too long. Or if you prefer, go glamping and meet yourself half-way. Ok, so you might like the idea of the outdoors, but not the practical reality. Perhaps then it’s about time for a good-old road trip. You know, just like in the movies. Now you can stop wherever you like. Park-up for a brief bit of nature, a cultural landmark, or just a classic pub lunch. The length of the trip is up to you – stay at an Airbnb in the next county, or just loop back to your own abode. You’ll return home feeling refreshed and well-travelled. You might even find some hidden gems like a humble woodland or reasonably-priced pub. If you really can’t leave your home for too long, it’s important to find a time and space for me time on your own patch. Whatever the season or the space you’ve got, you’ve got to make it special. Your garden might be your place of relaxation, with plants, a book and a nice beverage. Go a step further and mystify the atmosphere with tiki torches, outdoor fairly lights, or even a fire pit. If candles, incense, music and yes, your favourite tipple help you to get in that zen zone, then don’t hold back. It’s your space after all. Every cat has their favourite spot to curl up in – don’t you think you should too? 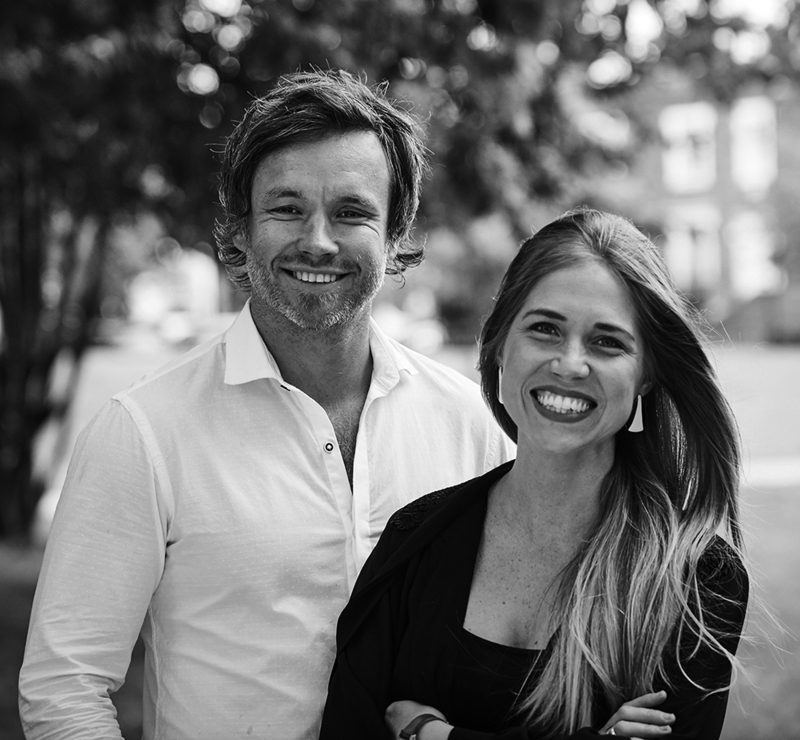 Chantelle Flynn and Michael Merrit are the founders of TiiPii Bed. 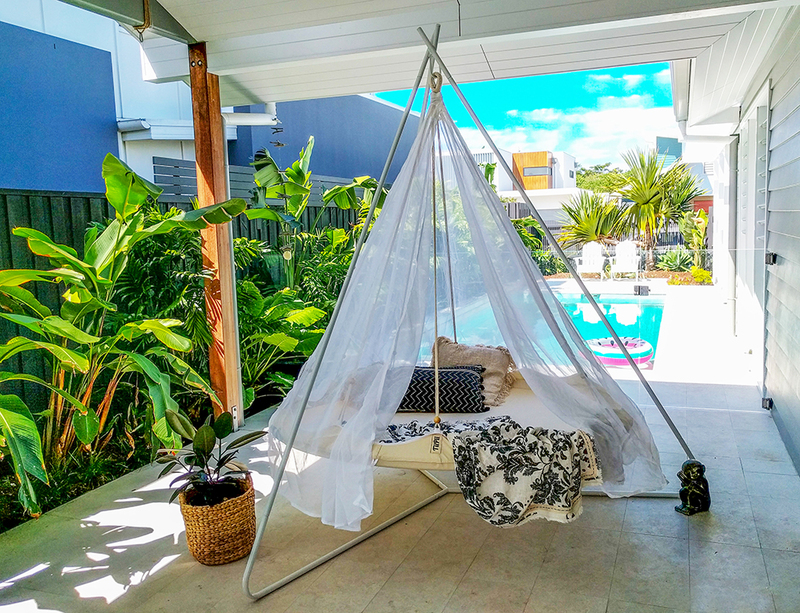 TiiPii Beds are luxury floating hammock beds that create a unique relaxing space to be enjoyed indoors or outdoors. Totally versatile, a TiiPii Bed can be enjoyed from any capable branch or beam or partnered with a collapsible stand.